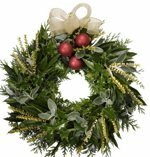 Making and selling fundraising Xmas wreaths is a great way to keep your charity fundraising efforts on track over the Winter Holidays. 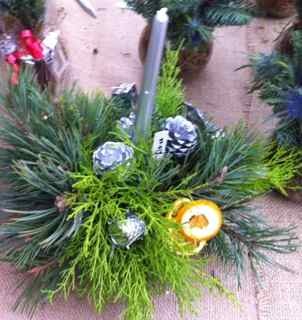 If you get yourself set up properly they are simple to do, inexpensive to make, and can bring in a fair bit of cash. 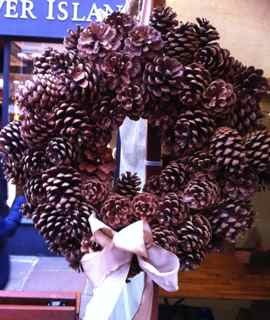 The idea of a welcome wreath of evergreens dates back to Roman times, when a garland of leaves was thought to bring good luck. 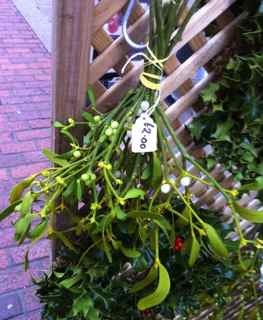 Wreaths of evergreen leaves such as yew, holly and ivy are also symbols of life seeing people through the cold winter to the renewal of the Spring. For Christians too the use of prickly holly with its blood red berries is also held to be a reminder of the crown of thorns Jesus wore on the cross. 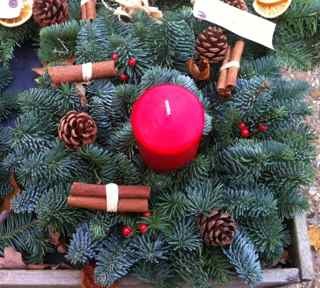 There are all sorts of ways to go about making a wreath. Choose the method that will work for you or your group with the materials you have at your disposal. Circles of styrofoam or oasis - available from craft supply stores. Easy to use but expensive. Circles of wire - shop bought ones tend to have an inner and outer ring. For the cost conscious twisted wire or old coat hangers can be easily adapted. Use 2 loops side by side joined in a couple of places with tape or wire, to allow you to poke some of your foliage in between. Circles of thin sticks or vines - twisted and joined in a loop. 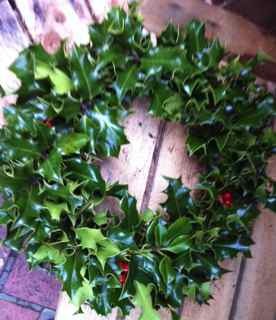 The whole point of a wreath is the evergreen foliage symbolising the new growth of the Spring to come. Lovely bright berries add a great splash of colour. Add them to your wreath sparingly for the best effects. Holly - classic red berries. Snowberry - has a white berry with a pinkish hue and looks a bit like snow. Viburnam - some viburnams have lovely orange berries in the winter. Rose Hips - either from the garden or the hedgerow, beautiful orange red hips really stand out. Again a touch of imagination will see you using all sorts of things. There are no rules. Some people like to have their wreaths absolutely covered in decorations. For others less is more. 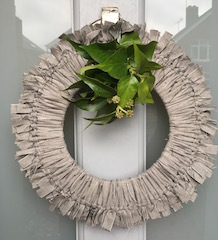 Either go really chic and classy by using modern materials in a magnificent, contemporary, take on a wreath. Or score some Greenie Points by coming up with a fantastic eco-design made of throwaway bits and pieces such as corks, old cds, bottle tops, bits of material etc. A real hit with the kids. Candy wreaths are draped all over in sweets. Best hung indoors - You don't want the postman helping himself! Look after our feathered friends this winter. Thread peanuts (still in their shells) all around a loop of wire. Looks great hanging on the Christmas Bird Table. 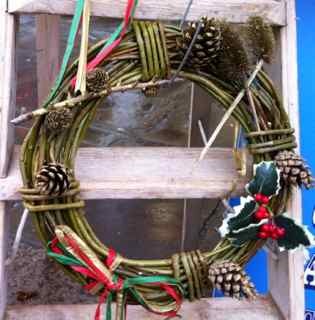 Rather than making or selling wreaths why not turn it into a workshop. 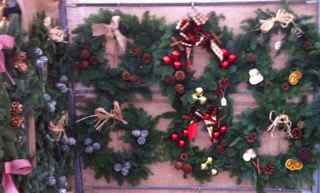 Participants pay to come along and spend a happy couple of hours with other people making a wreath with materials supplied by you. A cup of tea or coffee (or something stronger) and a mince pie turn it into a fun pre-Christmas activity. 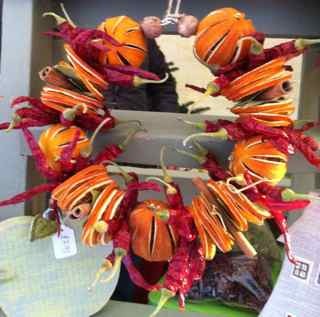 So have fun making and selling your fundraising Christmas wreaths. If you have some good ideas of your own we'd love to hear them. Its nearly time for the Christmas Bazaar.